Europe offers a multitude of adventures — from the culinary to the cultural — that can satisfy almost any case of wanderlust. With well connected roads, infrastructure and a (mostly) unified currency, you can wind through the lush and quiet hills of Champagné one day and arrive in the centre of Berlin the next. There really is no better way to explore Europe than by car. Although there is a certain charm to a spontaneous and casual itinerary when driving, as with any journey you have to plan your trip in advance. Here we outline what you need to prepare for and consider when driving through Europe. With a rich and interlinked cultural heritage, Europe offers an array of architectural wonders and towns which both birthed and shaped the course of human history. From the Acropolis of Socrates’ day to the Barnenez — “The Prehistoric Parthenon” — in France, Europe is covered in landmarks that allow you trace the steps of the greats. But the real clincher as to why you should take a road trip through Europe is not just in its beautiful and quaint sites of history; nor is it in the vast array of world cuisines, shops or cultural traditions you can behold. It is in the freedom of driving itself. Europe offers some of the most scenic roads in the entire world. From windy mountain pathways through spectacular coastal drives, it offers all sorts of escapades for both the intrepid and the cautious. The possibilities are literally limitless, so we have compiled the most famous, popular and breathtaking routes for you to consider. The High Alpine Road: A favourite with motorcycles, this rocky route through the Austrian Alps is one of the most breathtaking in the world. With 37 mountain views and a road climb of 2,504 metres, this 30 mile stretch can be combined with a number of surrounding sites to top off a trip through Germany, Austria and Switzerland. Capital Hopping, Paris to Berlin: Paris to Berlin need not just be a means of getting between the two capitals, but the centrepiece of a trip itself. From Paris, you can wind through the French countryside, Luxembourg and the old Roman city of Trier, through Heidelberg and Nuremberg in Germany. Alternatively, head north through Belgium; both are popular routes. Iceland’s Circular: Although not a road trip through Europe but only in one of its islands, Iceland’s Route One circumnavigation of the entire island takes in many of its beautiful and dramatic European routes. From waterfalls through hot springs and a chance to see the Northern Lights, this trip is a must take. 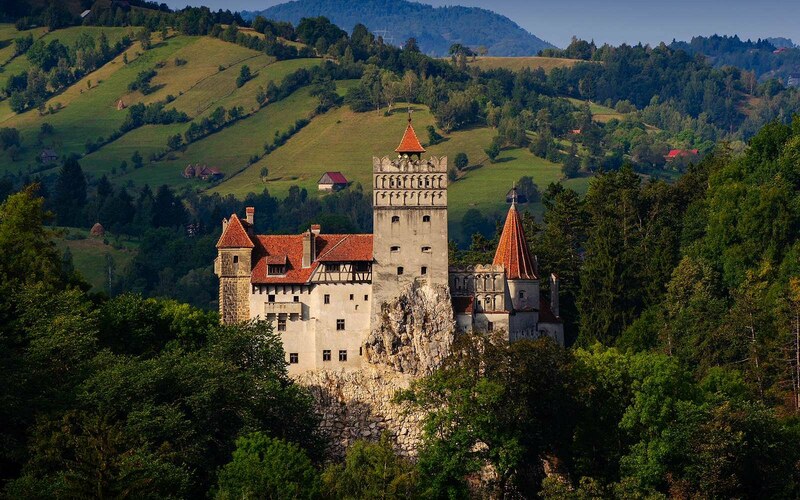 Bucharest to Vienna: The Carpathian mountains and Bran Castle offer an array of ancient untouched architectural wonders on the way through Romania to Vienna. This less travelled tourist route follows the inspiring, serpentine Transfagarasan mountain road. Ferry bookings and timetables for portions of your route. Whether or not you will need an International Driving Permit (IDP). It is a technical requirement in Austria, Bosnia-Herzegovina, Croatia, Greece, Hungary, Italy, Poland, Romania, Slovenia and Spain. Check whether compulsory in-car equipment is required in the countries you will be travelling in. This is especially true if you are not renting a car. Find out and abide by local customs and local laws. In particular relating to drink driving laws in European countries. With your route planned, it is now time to make your checklist. Although each trip is different, you need to think about the following. In the case of local laws in France, for example, you will need safety equipment in your car at all times, including reflective jackets, a warning triangle and spare bulbs, among other items. For a comprehensive guide to compulsory car kits per country, see this useful guide. – Up-to-date Passport with Visa (if necessary). It is worth keeping a photocopy with you as well. How To Make A Ford F-100 Better Fuel Efficiency?